Paulann Petersen, Oregon’s sixth Poet Laureate (2010-2014) penned the wonderful poem called “Use,” which appears on this peregrine falcon. 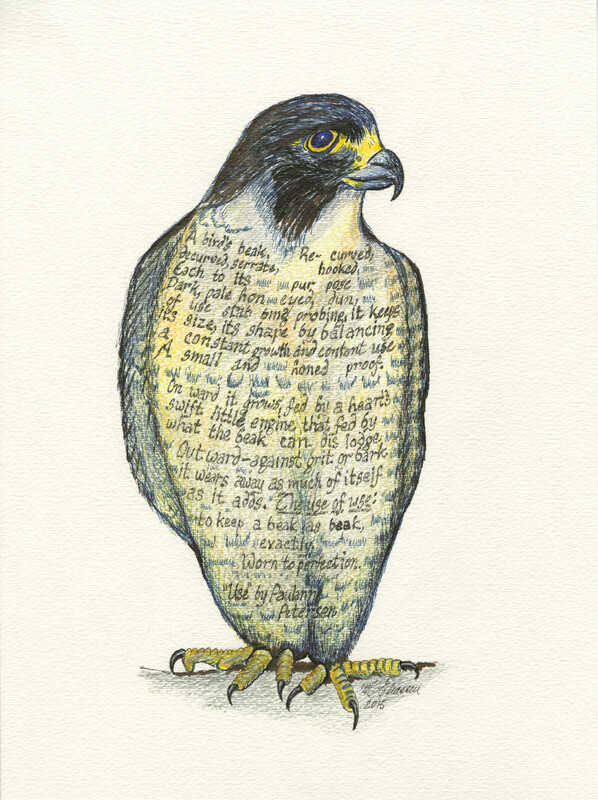 Peregrine falcon, drawn by Meredith Eliassen, 2015. Thanks Paulann! These words perfectly reflect how I feel about life at this time of life. As I reflect upon the meaning of your words, I see how this blog has served its purpose for me, giving me insights to my creative processes and to the people around me. I see this as a natural place to pause and put what I have learned to use on other projects, so I am going to let the bird and the poet have the last words for now… and return in autumn with new drawings and stories from the field. 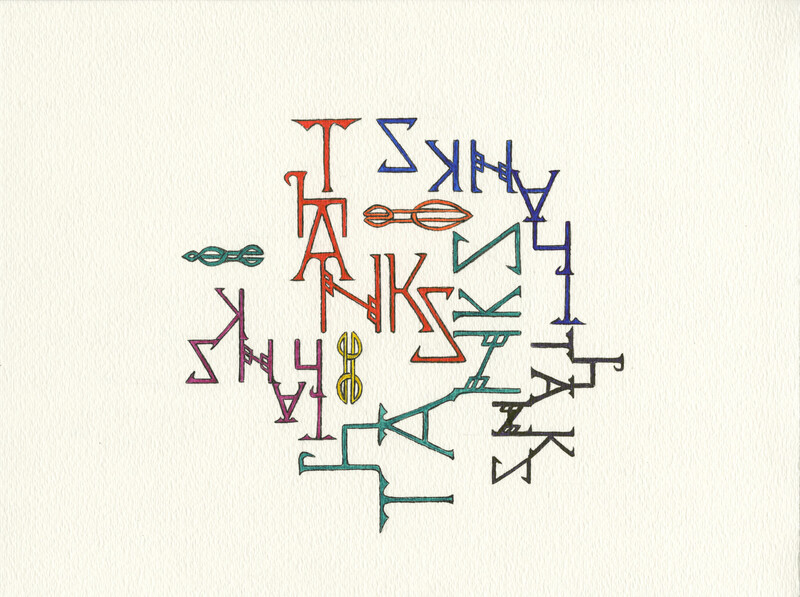 Many THANKS, using script interpreted from the “Book of Kells” drawn by Meredith Eliassen, 2015. Oblivious to any agitation above him, Old Coyote enjoys a morning stroll in the desert. Meanwhile, Momma Raven keeps her nest secure as Poppa Raven protects his family above the Red Rocks of Sedona, Arizona. These rocks really are red! 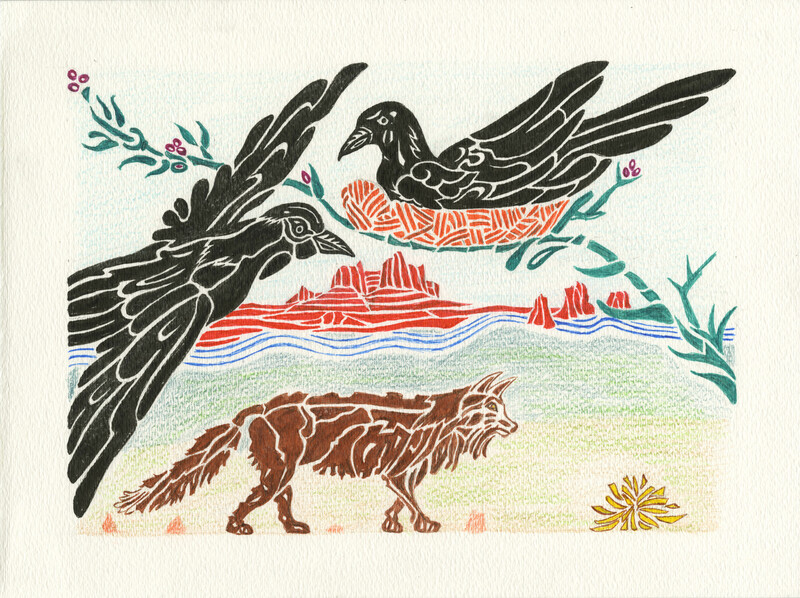 “Ravens Protecting the Nest” design by Meredith Eliassen, 2015.